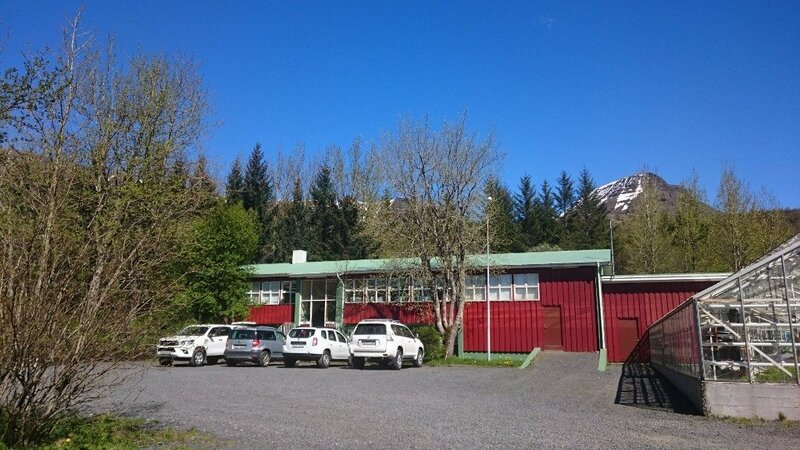 Icelandic Forest Research, located at Mógilsá in the vicinity of Reykjavík, is the research division of the Icelandic Forest Service. Applied forest research on silviculture, growth and yield as well as choice of forest reproductive material has been the main emphasis of the division since its establishment in 1967. These areas of research are still important. However forest ecology and management have become increasingly important fields of study with a wide range of topics, including carbon and nutrient cycles, solving establishment problems in afforestation on derelict land, insect pests and pathogens and the effects of afforestation on plant and animal communities. Forest inventory has also increased in importance, not the least due to the need for knowledge about carbon stocks and sequestration. Other recent research topics include climatic mapping, vegetation history and social aspects of forestry. For the majority of research projects, emphasis is placed on applied research for the purpose of advancing sustainable forest management planning and practice in Iceland. Director: Edda S. Oddsdóttir Ph.D.
Research on growth and growth potential of tree species used in forestry in Iceland. Geographical Information Systems – Data capture, consulting and teaching. that organised forestry is considered to have started in Iceland in 1899 with the planting of the Pine Stand at Thingvellir?